The works on the completion of the bypass route around Zrenjanin and the bridge on the Begej began on Thursday, October 25, 2018, and their total value amounts to RSD 350 million (plus VAT), the Ministry of Economy announced. It is expected that 3.7 kilometers of the road will be completed by September 2019. Economy Minister Goran Knezevic and Minister of Construction, Transport and Infrastructure Zorana Mihajlovic took a tour of the construction sites and the Begej Shipyard, which has restarted the production following the overhaul. At the moment, Begej is making six barges for the Dutch market. 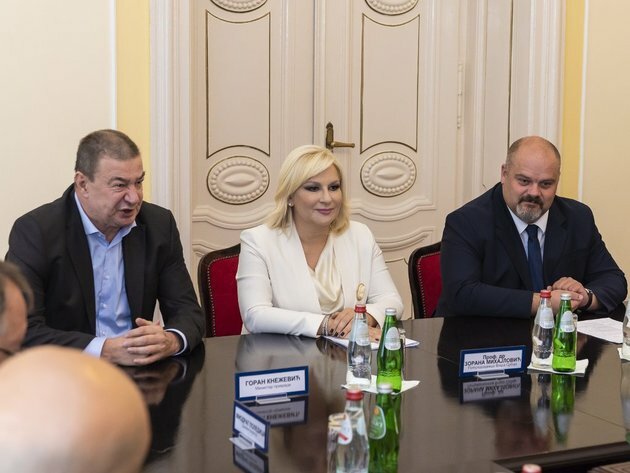 Before the tour, the ministers talked to Mayor of Zrenjanin Cedomir Janjic about the construction of the high-speed Belgrade-Zrenjanin route, the completion of the Pancevo-Orlovat-Novi Sad railway, the Ecka airport and other projects.